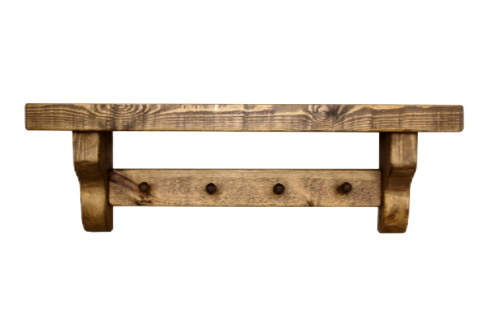 Rustic wooden shelf with coat pegs. 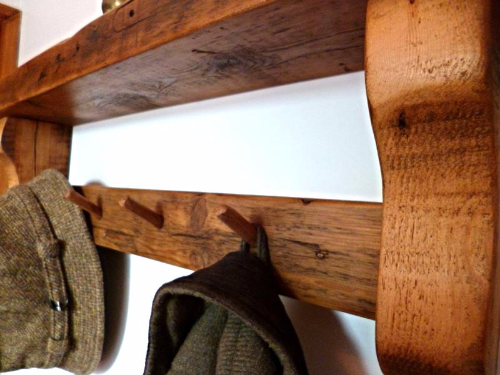 Rustic pine shelf with coat hooks. 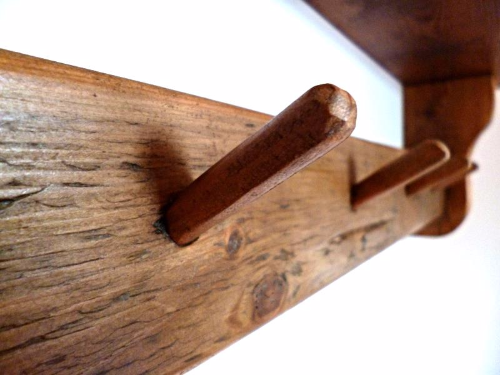 Featuring a practical shelf and 4 robust hand shaped coat pegs. A solid unit handmade in the UK from solid wood, with a welth of character and vintage patina and a final layer of quality antique pine wax giving a deep shine.